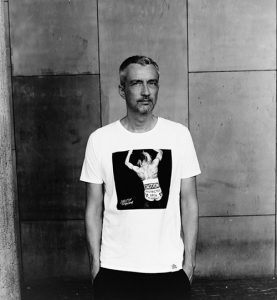 In today’s electronic music world there are not many artists who can lay claim to a legacy like that of DJ T. Born in Dusseldorf, DJ T. (aka Thomas Koch,) relocated to Frankfurt with his family in the late 70s. During these years, he fell for the hypnotic grooves of disco, inspired by his parents’ record collection. At the age of nine he was already completely enraptured by music and that love affair continues until this very day. He began an obsessive quest to collect music, feeding his soul with everything from Disco and Hi-Nrg, through to early Hip-Hop and Electro, Soul, Funk and R’n’B. The groovy, infectious rhythms of all those genres continue to permeate into the music he plays today, providing an intrinsic part of his sound ethic. He took up breakdancing, before becoming a DJ, playing at private parties initially before landing his first professional gigs in the late eighties. This period proved to be a pivotal moment in his life as Acid House swept through Europe, landing in Frankfurt and taking over with the launch of Sven Väth’s legendary Omen club in 1988. The first wave of House and Techno took hold and T. was there at the forefront, absorbing all the fresh new sounds from Chicago, Detroit and the UK. He picked up a residency at the infamous Music Hall and held residencies at countless clubs across the city during the next 10 years from Plastik and Dorian Gray to The Box. By the end of the nineties, he was one of Frankfurt’s best-known selectors. In 1989 DJ T. tapped into another side of his creative energy to set up Groove Magazine. Identifying a gap in the market and fuelled by a need to satisfy his own desire for specialised music journalism, which focused on his interests – namely underground dance music. Under his leadership the magazine was launched into the public’s consciousness and he guided Groove to become one of Europe’s premier dance music publications, which it still is today. DJ T.’s progression continued at a pace, as he launched his own club, Monza, using the experience gained through a decade of club events and tours under the Groove Magazine banner. 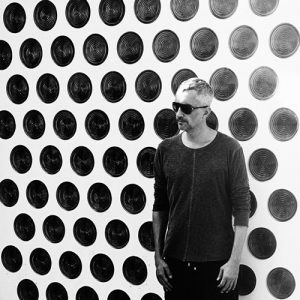 He also invested his skills and knowledge into conceiving Get Physical – a label, which remains one of the world’s best- known House and Techno platforms. Though he left in 2010, T. still occasionally A&Rs for the label, lending his uncanny ability to uncover new talent to the seminal label. Production-wise, he has been consistent ever since his debut release, the ‘Monsterbaze’ EP with Steve Bug, which was released on Poker Flat in 2000. Since then, T. has released several well-received EPs, a slew of remixes and three albums, ‘Boogie Playground’ in 2005, ‘The Inner Jukebox’ produced with Thomas Schumacher in 2009 and ‘Pleasure Principle’ in 2011. His special touch has also been employed by numerous labels to curate compilation mixes , including ‘United Under The Ball – 30 Years Of Disco’ in 2011 and ‘The House That Jack Built Vol 1 & 2’ in 2012. 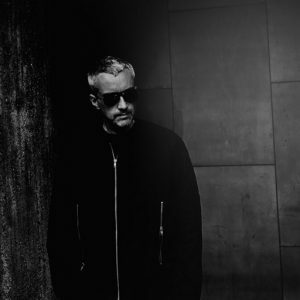 In 2013 he celebrated 25 years of DJing with a very personal mix compilation, followed also by ‘Body Language 15’ and collaboration with Defected and Strictly Rhythm to celebrate the latter’s 25th anniversary. DJ T.’s reputation for being a master selector has been cemented by these superlative collections of music, each of which has received widespread praise, often featuring many of T.’s own edits of classic tracks. Despite so many accolades, his passion for music remains staunch, recently making several key changes to his professional life that have inspired him to explore new terrains. With hot new releases on AUS Music, Moon Harbour, True Soul and Jackathon representing his continued to desire to push his creative boundaries. A highly-skilled DJ and producer and an A&R with an uncanny ability to discover a nurture new talent, DJ T. is a master selector and one of the industry’s most influential figures. One year before he celebrates his 30 years in the business, he continues to tour as a DJ all over the world and has an Asian and Australia/New Zealand tour planned at the end of 2017. DJ T. remains as enthusiastic about music as he was in his formative years with creativity still at a high, his desire to spread music far and wide never wains and his artistry and dynamism as a DJ is unparalleled.